Is eco-chic all is cut out to be? Did you ever meet that gear-head who had a shelf full of Nalgenes or a trunk full of those reusable shopping bags? At the time, did you stop and think about the environmental impact of these eco-friendly products? In honor of Earth Day, I’d like to take a moment to step back and evaluate the state of our environmental movement. Yes, at some level these things reduce your personal environmental impact. They save millions of plastic bags and cups from entering the waste stream and therefore our biosphere. At the same time, they promote the consumer culture that created many of our environmental issues in the first place. When thinking about this issue, it gets beyond the small purchases and pushes into the realm of greenwashing – but greenwashing on a personal, individual level. 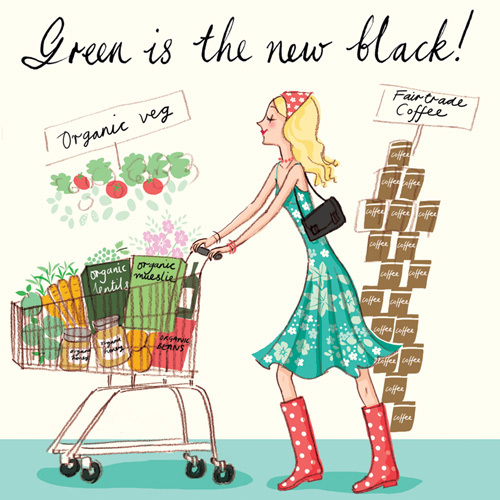 To what degree is the ‘green citizen’ just another marketing tool reinforcing the status quo? I recently attended a talk by Stephanie Rutherford, the author of a yet unpublished book Green is the New Black. Her basic point, as told through four case studies of eco-consumerism, is that the recent sustainability movement criticizes and supports consumerism at the same time. Without more fundamental changes in societal norms, the efforts of tote bags for groceries and occasionally taking the bus are meaningless. Rutherford discusses the “narratives of nature” and how environmental subjectivities are created – both subjects critical in the larger academic discussion of environmental citizenship. Exactly what does an environmental citizen look like and act like? The ideal citizen is perhaps not the one being created by the companies emerging from and succeeding because of the sustainability movement. Two of her case studies particularly hit home – one of what Rutherford describes as “the fetishization of gear”, or creation of an identity full of Goretex hiking boots and sparkly new rain jackets from North Face. It’s a branding and an identity based not on what works, but what will provide the look that symbolizes the status of someone who can afford such an identity. 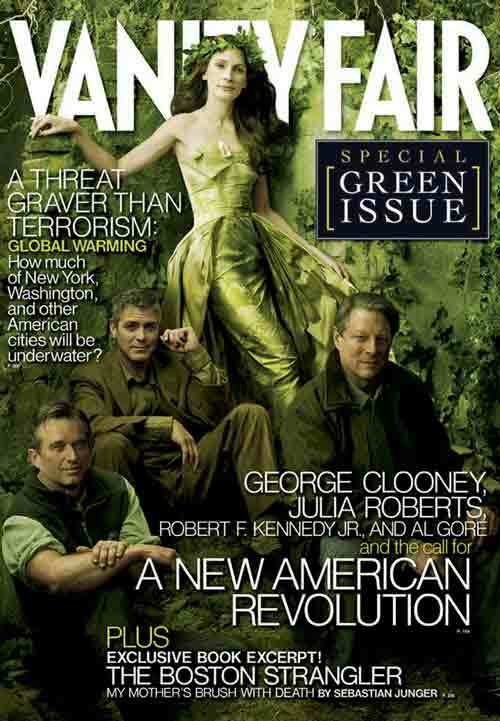 So it’s really about advertising you belong to the upper class shrouded in talking about care for the environment. According to a teacher I know, the branding has gotten so successful that children at her school regularly get into fights over North Face jackets – and this is not over who has the most comfortable jacket on a mountaineering expedition but instead who has ‘the look’ in a school in the DC suburbs. Want to buy a green dress? The other case that hit home was her description of ecotourism packages in Yellowstone National Park. A large percentage of the park’s visitors each year come through organized ecotourism trips, complete with a guide and transportation through the park. Rutherford repeatedly documented the patrons on such trips not spending time asking the guide questions or looking out the window at the wildlife standing nearby, but instead talking to the other guests about past ecotours they had participated in. Again, more of a way to brag about class than appreciate nature. Bottom line is that instead of simplifying our lives to be more in line with what our planet can support, we have shifted our complicated lives to use the eco-friendly label in our societal struggles of class. It’s not buy less, it’s buy better. But our economy and society are still firmly grounded in capitalist norms involving consumerism and commodification of all things green and natural. In the end, that underlying system is likely what needs to change. The current greening movement just has to step aside first.